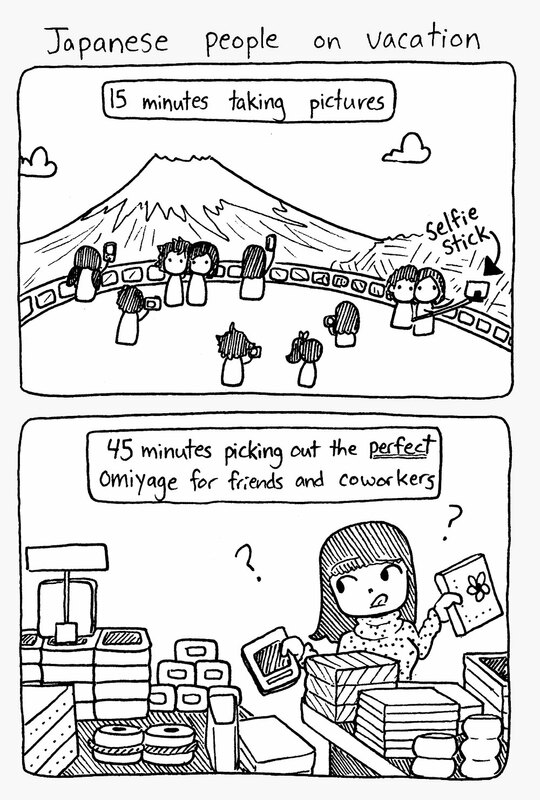 Next time you're going on a trip, don't forget to pick up that 'perfect' omiyage! The culture of omiyage takes a little bit of getting used to. 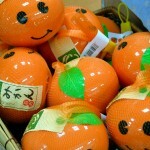 An omiyage is a gift or souvenir you give to friends, coworkers, and family after returning home from a trip. Omigage is so much more than just an edible souvenir, though. Omiyage boxes are brightly colored and contain individually wrapped snacks, perfect for sharing. They also vary depending on the region. In Aomori, most of the omiyage I bought were apple-themed, while a short business trip to Hakone required me to pick up a couple boxes of kamaboko (pureed fish). Omiyage is serious business. It can be a huge social taboo if your coworkers know you went on a weekend trip, but you show up to the office on Monday without any thing. A couple of weeks ago, I went to Kamakura with a Japanese friend. We spent a bit of time looking at the various shrines and temples, but she couldn’t relax until we made a pit-stop at an omiyage shop so she could pick out gifts for her coworkers. 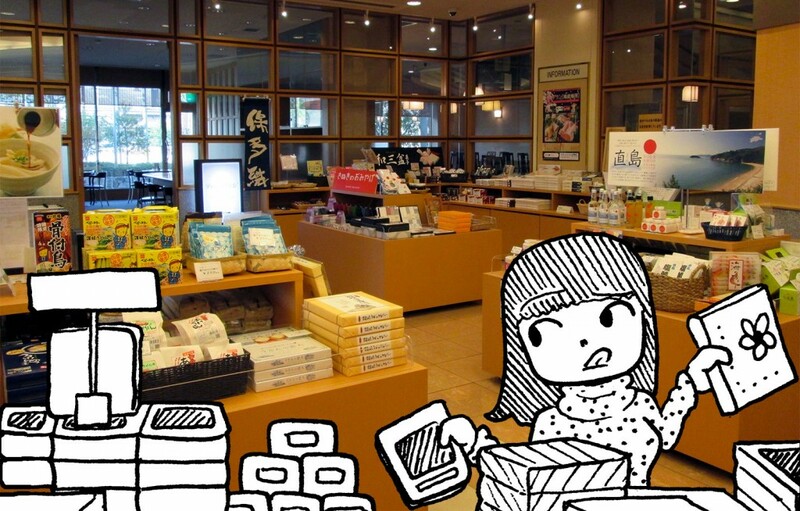 We ended up spending a ridiculous amount of time in that shop, as she browsed through endless boxes, trying to find the perfect omiyage with just the amount of sweets, the correct portion size and price for her office. Does anyone else have a problem picking out the “perfect” omiyage? 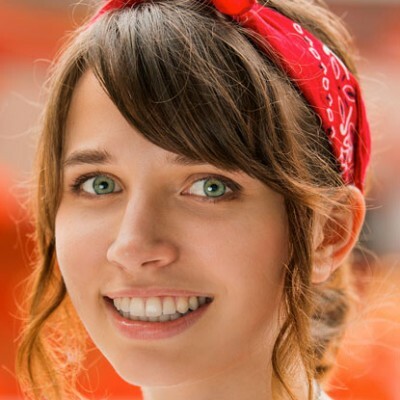 Texan blogger and comic book artist. A lot of times foreigners would probably be cut some slack for not doing this. The key to remember is to get the kind of small snacks that are individually packaged. All the major tourist spots have these stores and yes, there are omiyage specific to certain areas of Japan. There is no need to buy somebody in the office something that is not edible, unless you are really close to that person. The best way to choose an omiyage is to ask the clerk (or tour guide or Japanese friend) which omiyage is the most popular. There was absolutely no reporting in this article. Yikes. Not that it matters, but this feature is relevant in the video game doubutsu no mori, known outside Japan as Animal Crossing. This is why animals give you gifts constantly. When I travel I often want to bring back a little something for my friends or family to enjoy. But sometimes I go places and do things that don’t really leave me much time to go shopping for omiyage, so I don’t. I like the idea of wanting to buy gifts for people because you want to buy them, but in Japan whenever I get omiyage I don’t get a sense of it being something that someone wanted me to have, but rather it being something that someone felt that they had to give me because they work with me. I used to give omiyage, but I work with way too many people now, so I stopped. I still feel bad about not bringing gifts back for my co-workers, but at the same time, if it’s a choice between bringing back nothing or 100 gifts, I will go with nothing. But I still give my friends and family gifts if I see something I think they might like. There have been a couple of articles on gift giving and omiyage, but none of them actually describe how to go about it. I took a trip recently and didn’t bring anything back because I had no idea what to bring and thought only my supervisor knows about it (he kinda had to know since I’m a student and was gone partially during the week). Turns out he blabbed it to almost everybody and I still don’t know how to go about it. We’re having that problem right now; a group of Kansai students came here for the one-month English program and are about to leave, and no one, native or not, can solve the “What’s a good souvenir from South Carolina?” conundrum. They’ve found quite a few things that are American though, and they were discussing today whether or not their luggage would be below the weight limit. When I go to other countries I bring back new things that I think ‘match’ my friends and classmates. Though it’s actually quite enjoyable when I notice a shirt that would totally match some friend, but I can’t imagine having to spend hours spending money on trinkets and food every time I travel away! We do omiyage (or balikbayan gifts) in the Philippines but not as “high-strung” as Japan, I bet. Also, we don’t have to bring for acquaintances, only close friends AND relatives. I never do “balibayan” or omiyage so I am considered a “bad” seed. I am glad that in US, we don’t follow this custom. There are parts of American culture that I really like, but I get terribly homesick often. But when I get to Philippines, I can’t stand the chaos there. Japan has both the East and West, which I know I would not regret living there. It’s called “pasalubong” and not “balikbayan”. 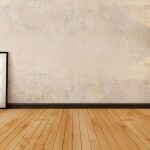 Pasalubong is more of domestic good souvenirs while balikbayan is more of imported products sent by your relatives or families working abroad as gifts. That’s right! I wracked my brain searching for that word! Thanks! My trips are now kept secret. I work at six schools. When I send items to my friends in Nagoya I send extras for their co workers as gifts. Nothing really happens even if you don’t buy Omiyage at all. Some strict, traditional people, however, would mind it and it will be hard for you to be friends with them without knowing this protocol. So it’s just better-than-nothing kind of stuff and most Japanese will not miss any chance to make relationships better. On trips to Japan i pack a large duffel inside my suitcase . When i return i stuff all the clothes in the duffel and fill the suitcase with fragile omiyage . In Hawaii omiyage is serous business too , one of the many customs we “borrowed” from Japan . even worse!! you have to reserve half of your luggage for it…. 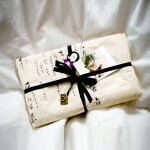 Gift giving is a great way to strengthen your personal or professional relationship with each other in Japan. The ¥100 store will be your best friend when you first start living in Japan.